Surprisingly little new research is being conducted on crushing, destemming and pressing themselves; surprising, not only because these processes are so central to winemaking but also in light of the amount of research focussing on adjacent winemaking processes. 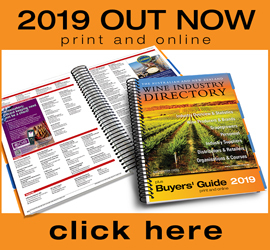 This an abbreviated version of an article published in the May/June 2018 issue of the Wine & Viticulture Journal. Why, then, are we seeing so little new research on juice handling? That question might reflect a premature conclusion. Depending on how ‘research’ is defined, it could be said that, in fact, a great deal of juice handling research is being done. 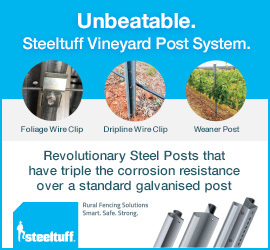 Even with the distinction that I hear some winemakers espouse – that ‘research’ involves a well thought-out control while ‘trials’ simply compare options – plenty of research is being conducted on juice handling under winery roofs. No doubt, the necessary condition of that research happening during harvest means that even less of it is written up and shared than might be the case for, say, barrel trials. But, irrespective of troublesome timing and the excellent venues that exist for sharing winemaker trials at conferences or in print, such trials can only rarely be seen as a substitute for professional scientific research. Just as high-quality scientific research often fails to yield meaningful results for practical winemaking, high-quality winemaker trials will not necessarily gather the kinds of information necessary for furthering scientific research. And, as much as viticulture and oenology research is usually driving toward meaningful outcomes for industry practice, scientific research can be seen as worthwhile even when it does not produce immediate industry benefits when (among other benefits) it helps build systematic knowledge about winemaking as a whole that can help address practical questions further down the line. Concerning a second point about how research on juice handling is defined, scientific studies are being conducted on topics related to destemming, crushing, and pressing without being focussed on those processes themselves. 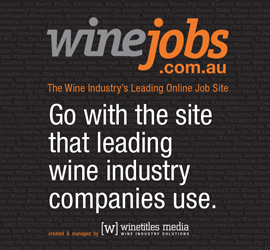 ‘Factors affecting wine texture, taste, clarity, stability and production efficiency’ – the title of an Australian Wine Research Institute research project funded under its 2013-2017 Research and Development Plan – could obviously involve juice handling concerns. Findings from that project, however, are at present being discussed in terms of relevant molecules or measurable juice parameters rather than the physical processes affecting those parameters, initially focussing on the molecular rather than the mechanical. Optical berry sorting research is another excellent example. 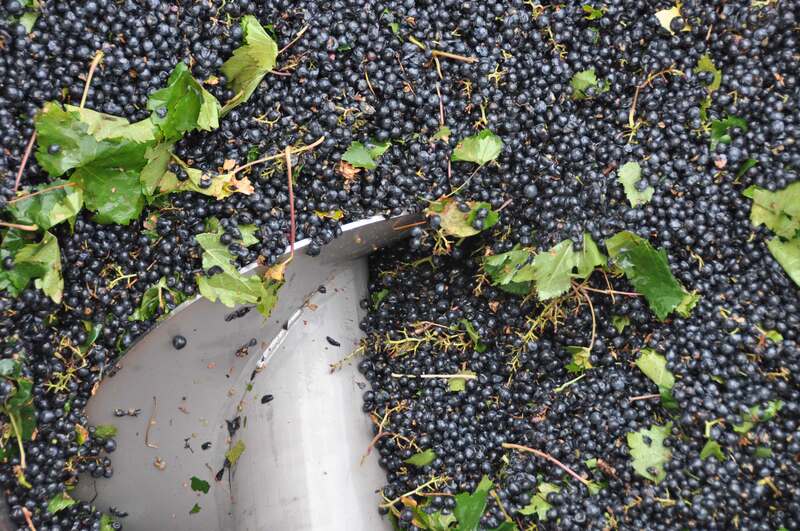 David Hendrickson and Anita Oberholster reviewed the state of mechanical harvesting and optical berry sorting research in an early-2017 publication for Catalyst, the American Society of Enology and Viticulture’s research-to-practice journal. Their focus was finding data to assess the common notion that machine harvested grapes yield lower-quality wine, and their conclusions on that point, in short, were “less than expected”. In addition, studies they reviewed also spoke to considerations relevant to berry and ust handling in the winery; namely, wines produced with predominantly whole versus predominantly broken grapes entering the winery consistently yielded smaller sensory differences than might be expected. Altogether, however, a key finding of Hendrickson and Oberholster’s review was that the industry needs more up-to-date research on mechanical harvesting and optical berry sorting, not (only) because that line is the standard refrain of researchers everywhere, but because they found some important questions were addressed only in 30-year-old studies employing equipment long-since out of date. It could be argued that we are seeing little new scientific research on juice handling because there is little research left to be done; perhaps the fundamental questions have been answered. That is certainly one way to look at the situation. Research to compare major crushing and destemming options was carried out in the first half of the 20th century, and while the results of those studies were reported in terms of qualitative observations about overall wine quality, it does not necessarily follow that those experiments need to be confirmed in contemporary molecular detail. Indeed, more recent research has followed suit by examining the gross mechanical properties of new crushing and pressing technologies without necessarily focussing on more detailed chemical measures. The partnership between the French National Institute for Agricultural Research (INRA) and Pellenc to evaluate and (unsurprisingly) support commercial use of Pellenc’s Extractiv’ crusher employing new ‘dynamic crushing’ technology in 2013 is a good example (Arnaud et al. 2013). And it may be telling that the most novel and noteworthy study I have seen on crushing or destemming in the past five years appears in a journal titled Biosystems Engineering, was conducted by mechanical engineers at the University of Stellenbosch in South Africa, and involved mathematically modelling the physical properties of a whole bunch of Shiraz grapes. The results of that rather complex modelling task, together with some detailed characterisation of destemmer action, allowed the authors to accurately predict the ability of commercial destemming equipment to separate whole berries from unwanted stems (Coetzee and Lombard 2013). Looking at the past 10 years or so, several studies have sought to correlate crushing, destemming, and pressing options with molecular parameters. A Spanish study published in 2005 investigated whether destemming Palomino grapes reduced polyphenol content in Fino sherry, noting that while the correlation between destemming and lower polyphenols had been established for red wines, the same research had not been conducted for whites in general or sherry specifically (Benítez et al. 2005). Their hypothesis was that destemming prior to pressing might reduce astringency in the finished sherries – a hypothesis only made worth asking by improvements in pressing technology that reduce the need to include stems for the purpose of enabling efficient white juice extraction. Their conclusion, however, was that the extra destemming step made little difference to the finished wine. Here, then, are at least three possible reasons why juice handling research might be in a lull. First, negative results – that is, failing to reject the null hypothesis that the treatment of interest makes no difference – are less exciting and harder to write about. Secondly, juice handling research is likely to be connected to equipment research and development and, therefore, a matter of in-house or contracted research for private companies rather than publicly-funded research shared in scientific journals. And third, 21st century viticulture and oenology research has a strong molecular bias, whereas crushing and destemming research are likely to focus on mechanical processes. There is certainly scope for more molecular research – research measuring changes in key sensory impact compounds – to compare contemporary crushing and destemming options. A 2008 study authored by Fiorella Cerpa-Calderón and James Kennedy, the latter an international leader in tannin research, examined relationships between the percentage of crushed berries and the relative extraction of proanthocyanidins from skins and seeds over the course of a red (Merlot) ferment. Proanthocyanidins are polymers of flavan-3-ols, found in skins and seeds and related to wine bitterness and astringency. Cerpa-Calderón and Kennedy found, as might be expected, that proanthocyanidin extraction from skins increased with increases in crushed fruit. Skin extraction plateaued when the percentage of crushed fruit increased above 50%, however. While the authors hypothesise that this finding might be explained by conversion to other classes of molecule over time, they ultimately suggest that it warrants additional investigation. Meanwhile, seed proanthocyanidins grouped around just two values, a lower value for proportions of crushed grapes up to and including 50%, and a higher value for 75% and 100% crushed-grape ferments, but only for free-run juice; in press wine, in contrast, extraction from seeds increased linearly with crushing. It bears keeping in mind that these conclusions were drawn from ‘microscale’ ferments with grapes destemmed and crushed by hand and fermented in 2.8kg lots – another reason to call for additional research using industrial winemaking equipment. This study was occasioned by having new laboratory technology making it possible to measure proanthocyanidin extraction from skins and seeds separately and simultaneously. It is equally easy to imagine that similar new studies might be warranted by new crushing or destemming technologies. For example, what, if any, difference does the kind of mechanical process used to crush berries make to sensory impact molecules? While this kind of research may well be going on behind the closed doors of companies responsible for such technologies and their partnering wineries, adding such information to the domain of public science could build collective knowledge about extraction parameters in addition to informing individual winery’s equipment choices. There is, in short, plenty of scope for more research to be done. Or, at the very least, claiming that no interesting questions remain is no excuse for why more juice handling research isn’t (with apologies for the pun) reaching the presses. Arnaud, C.; Niero, R.; Samson, A.; Caille, S.; Ducasse, M.-H.; Bes, M. and Salmon, J.-M. (2013) Assessing a new crusher aimed at delivering wines with improved polyphenols and flavours. Wine & Viticulture Journal 28:25-32. Benítez, P.; Castro, R.; Natera, R. and García-Barroso, C. (2005) Effects of grape destemming on the polyphenolic and volatile content of Fino sherry wine during alcoholic fermentation. Food Science & Technology International 11:233-242. Cerpa-Calderón, F.K. and Kennedy, J.A. (2008) Berry integrity and extraction of skin and seed proanthocyanidins during red wine fermentation. Journal of Agricultural and Food Chemistry 56:9006-9014. Coetzee, C.J. and Lombard, S.G. (2013) The destemming of grapes: Experiments and discrete element modelling. Biosystems Engineering 114:232-248. Hendrickson, D.A. and Oberholster, A. (2017) Review of the impact of mechanical harvesting and optical berry sorting on grape and wine composition. Catalyst 1:21-26. *Erika Szymanski is a research fellow in science, technology and innovation studies at the University of Edinburgh, in the UK, where she studies yeast in contemporary biotechnology. Her background spans microbiology, rhetoric and composition, and wine studies in the United States and New Zealand, where she completed her PhD research in wine industry-focussed science communication.